Send A Basket Of Red Roses to Chennai. Gifts to Chennai. Send Flowers to Chennai. Description : Red roses always entice women. 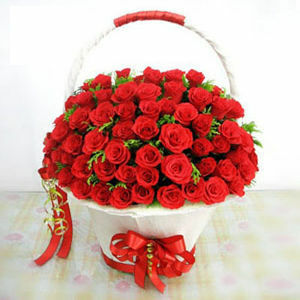 So take this opportunity to send this attractive basket which contains 100 fresh red roses which will surprise your valentine. Delight your dear lady by sending this basket as Gifts to Chennai through the proficient online gifting store of Gift2Chennai.com.